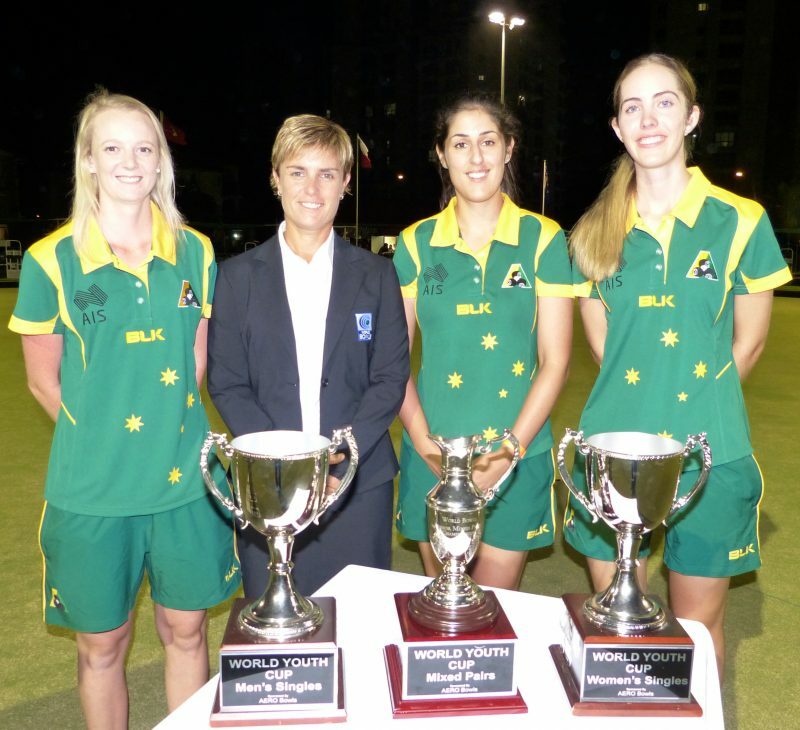 A glittering twilight function at the Broadbeach Bowls and Community Club on Queensland’s Gold Coast last night saw Australian great Karen Murphy roll out the inaugural World Youth Championships. This is the third incarnation of the only under-age competition conducted by World Bowls, the sport’s global governing body, having started out as the World Junior Cup in 2005 then changing to the World Junior Championships in 2013. 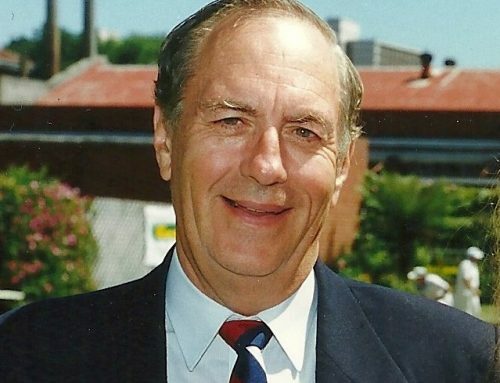 The wise decision taken last year to rebrand the annual competition as a ‘youth’ event was welcomed by all sectors, especially the players, who regarded ‘junior’ as unsuitable, considering there were husbands and wives, even some mothers and fathers, competing within the age group. 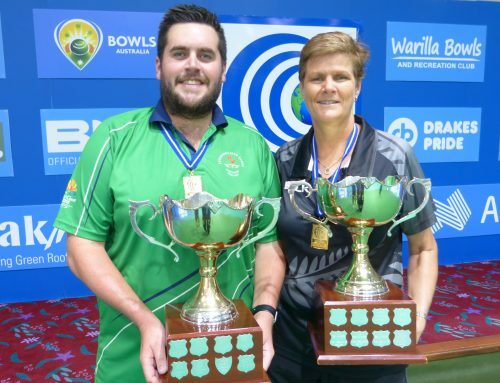 The legendary Aussie, who claimed her second successive world outdoor crown in Christchurch last November, took centre stage in her role as the World Bowls regional director for Asia and Oceania to officially declare the competition open. Development competitions are very dear to Karen’s heart. 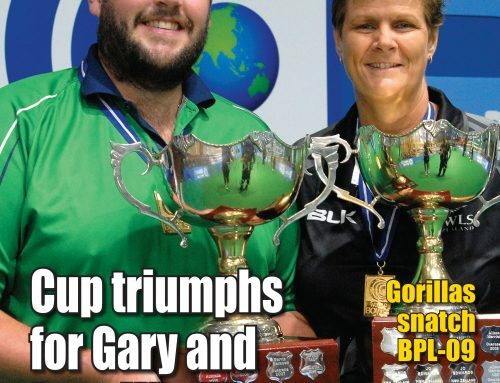 Amongst her endless list of bowls accomplishments is the 1999 WIBC world under-25 singles title she won in Belfast, while other greats of the game have travelled the same path. Malaysia’s 2008 world singles champion Safuan Said won this event in 2005, while Aussie world and Commonwealth gold medallist Lynsey Clarke (Armitage) won back-to-back titles in 2005 and 2006. And of course there’s last year’s singles champion Aaron Wilson from Australia, who thrilled the Christchurch crowds in November when he skipped teammate Brett Wilkie to the men’s world pairs gold medal. This year’s championships features 42 players from 14 bowling nations in a full-blown round robin competition of men’s and women’s singles, along with mixed pairs. 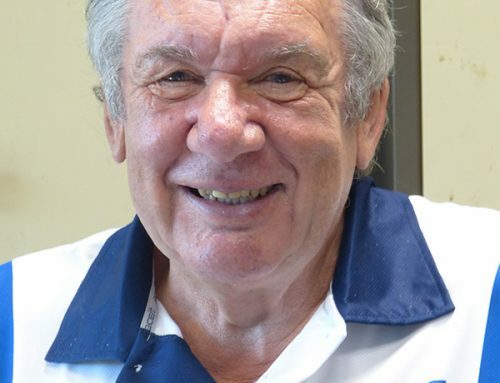 Special thanks should be directed to Bowls Australia and national coach Steve Glasson for arranging replacement competitors at extremely short notice for young overseas players, who, for an assortment of reasons, were unable to take their places in the field. 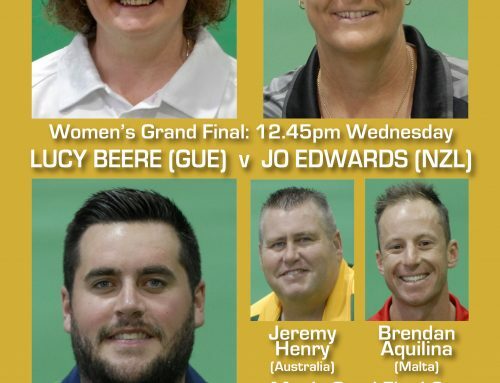 Of interest in the line-up is the presence of the three Australians who have claimed the last three women’s singles crowns – Chloe Stewart (2014), Kristina Krstic (2015) and defending champion Ellen Ryan. Qualifying rounds are continuous until Saturday morning, followed by play-offs and finals over the weekend. Photo: World Bowls director Karen Murphy with former champions Ellen Ryan, Kristina Krstic and Chloe Stewart.